The captivating allure of Paris has intrigued Australian artists throughout our history and this exhibition focuses on 30 women artists who travelled there to study, paint, visit galleries, salons, and artists’ studios. Freed from the conventions of home, they immersed themselves in the rich cultural milieu of Paris. Paris was the undisputed centre of the art world and artists from all over the world gravitated there to live and learn in a city that was exciting and liberating. They survived, often on very modest funds, and engaged in social gatherings at cafes along the broad avenues of Montparnasse. They went because they were risk-takers and determined to make art their life. South Australian Marie Tuck worked and saved for ten long years before accumulating adequate funds to allow her to travel and live in Paris. Some exhibited in the Paris Salons and in private galleries on the Left Bank, most studied and many received prizes and accolades. Dorrit Black & Grace Crowley bought back to Australia an understanding of modern art witnessed first-hand. Stella Bowen, Anne Dangar, Agnes Goodsir and Bessie Davidson never returned permanently, having adopted France as their home. 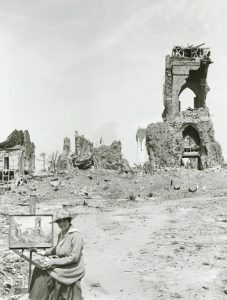 This exhibition brings to light the works of this group of intrepid women and include works by Christina Asquith Baker, Dorrit Black, Stella Bowen, Ethel Carrick, Evelyn Chapman, Mary Cockburn Mercer, Grace Crowley, Janet Cumbrae Stewart, Anne Dangar, Bessie Davidson, Moya Dyring, Madge Freeman, Bessie Gibson, Vida Lahey, Agnes Goodsir, Anne Alison Greene, Dora Meeson, Alice Muskett, Kathleen O’Connor, Margaret Olley, Ada May Plante, Margaret Preston, Betty Quelhurst, Isobel Rae, Gladys Reynell, Hilda Rix Nicholas, Constance Stokes, Eveline Syme, Jessie Traill & Marie Tuck. The exhibition will present works from public galleries and private collections across the country. Presented with the assistance of the Jolimont Foundation. Exhibition extended until the 25th of March due to popular demand! Join Lucilla d’Abrera, daughter of artist Constance Stokes and author of Constance Stokes: Art & Life who will be speaking on her mother’s life and work. D’Abrera’s book is available in the gallery shop. Clem & Therese Gorman have researched the artists in the exhibition for their forthcoming book and will provide an insight into their time in Paris. Join Elena Taylor, UNSW Art Collection Curator, who will discuss the work of Grace Crowley. Elena Curated the inspiring exhibition ‘Grace Crowley: Being Modern‘ for the National Gallery of Australia 2006-07. 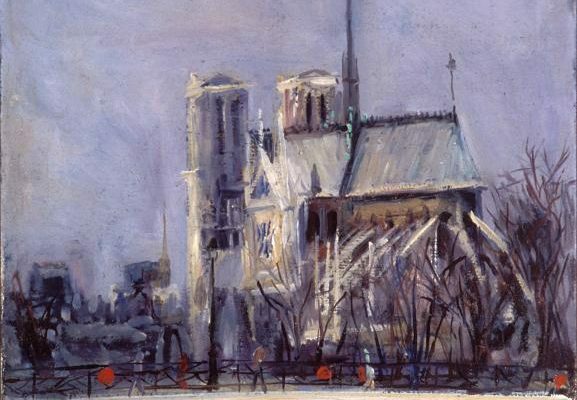 Accompany Dr Melissa Boyde, Senior Research Fellow at the University of Wollongong, who will talk about artist Moya Dyring and her life in Paris. Melissa curated Moya Dyring: An Australian salon in Paris for Heide Museum of Modern Art and Travels with my art: Moya Dyring and Margaret Olley for the Margaret Olley Art Centre, Tweed Regional Gallery.